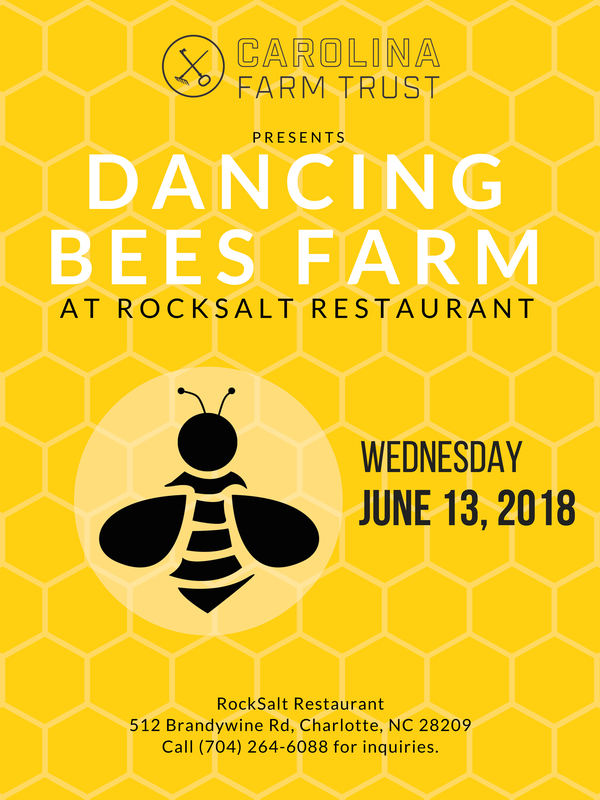 Dancing Bees Farm is run by Jeff and Robin in Monroe, North Carolina. People ask Jeff how he started keeping bees; he says he remembers watching his uncle “work” bees and was fascinated, so when Jeff and Robin moved back to rural Union County, Jeff had a hobby hive or two. Quickly one turned into 10, then 25 and now 80. Jeff, a Master Beekeeper, has been keeping bees for over 24 years. Jeff and Robin love to encourage others’ interest in beekeeping. Last year, they were able to offer an internship to a local student interested in bee research. In addition, they regularly host school groups at their “honey house” in order to foster more interest in beekeeping from kids of all ages. Honeybee pollination is critical to our food chain, contributing nearly $20 billion to the value of U.S. crop production, and certain crops like blueberries and almonds would not survive without it. For many others, crop yield and quality would be greatly reduced without honey bee pollination. Jeff and Robin currently have their hives on two organic produce farms and would like to continue to provide pollination services to local farms in the area who have expressed interest. Currently, Dancing Bess has 80 hives, but before the cold snap last January, Dancing Bees Farm had over 100 hives. They have since lost almost 40 percent of their hives and are hoping to have 130 hives soon. Every new hive costs $175 to add.